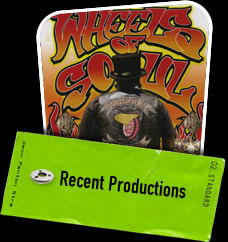 Wheels of Soul is the only racially mixed 1% outlaw club in America. These bikers do not push drugs, terrorize small towns or lie in wait for little old ladies. Instead, they terrorize pushers, pimps and gang members who plague their inner city neighborhoods. The Wheels of Soul documentary allows the audience a voyeuristic glimpse into the lives of these private men and their families. The members speak frankly on racism, the history of the club, the biker lifestyle, and the violent world of the outlaw biker. This brotherhood of men, who live by the creed "God Forgives, Wheels Don't" struggle to survive day by day on the mean streets of Philadelphia. » World Premier at the San Francisco Black Film Festival.